Researchers talked about the impact of graphic ratings and the big challenge: persuading partisans. Donald Trump’s rise to the Republican nomination for president of the United States, seemingly immune to fact-checkers that debunk his false statements, has prompted a simple question about American politics: Do facts matter? 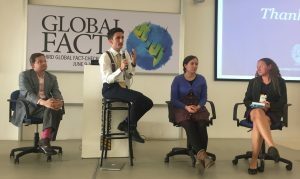 Four researchers attempted to answer this question at the Global Fact-Checking Summit in Buenos Aires during a panel discussion moderated by Alexios Mantzarlis, the director of the International Fact-Checking Network. 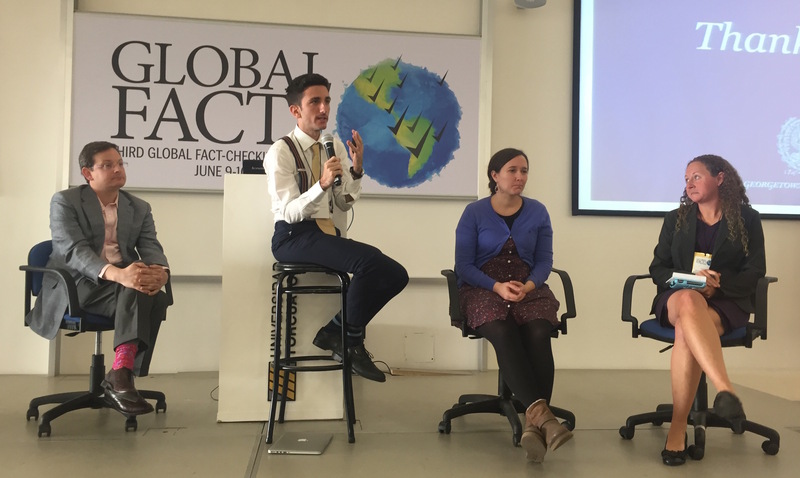 The presenters showed evidence that fact-checking has an impact on both politicians and some voters, but they agreed that many people use fact-checks to support preexisting ideologies. Jason Reifler, a professor of politics at the University of Exeter who specializes in fact-checking, sent letters to an experimental group of state legislators in states with PolitiFact franchises warning about fact-checking and cautioning them to make accurate claims. Reifler and Dartmouth professor Brendan Nyhan found that politicians who received letters were less likely to make false claims than politicians who did not receive a letter. This study indicates that fact-checking matters to politicians, but it is still unclear how much it matters to voters. Reifler noted that motivated reasoning and selective exposure often cloud voters’ opinions of fact-checking. The panel include Jason Reifler of the University of Exeter, moderator Alexios Mantzarlis, Eugenia Mitchelstein of Universidad de San Andrés in Argentina and Leticia Bode of Georgetown University. read either two fact-checks by Pagella Politica, one against a politician from either the left or right and an unrelated article, or two articles unrelated to politics and fact-checking. Forty-three percent of respondents chose to read both fact-checks and 83 percent read at least one, but of the 40 percent that only read one along with an unrelated article, the majority chose the fact-check that criticized a politician they opposed..
Leticia Bode, a Georgetown University professor specializing in misinformation and social media, and Eugenia Mitchelstein, a researcher at the Universidad de San Andrés in Argentina, agreed that confirmation bias plays a major role in how consumers approach falsehoods, but both presenters noted that fact-checking sometimes changes their minds. Bode’s research tested responses to inaccurate information on Facebook and whether links to related stories and comments are effective in correcting users who believe misinformation. Among people that are less prone to believe conspiracies, seeing a headline from at least one reputable fact-checking source usually made them change their minds and believe the truth. But comments by other users contesting false claims without evidence did not have an effect. That corrective source for Argentinians is often Chequeado, the highly regarded fact-checking site, as Mitchelstein demonstrated with a survey of people who casually followed politics. Many respondents said people cherry-pick the data they want to believe from Chequeado, but there was still a consensus that the site plays an important role in Argentine politics. Although fact-checkers receive more attention during campaigns, many still struggle to drive traffic to their sites. 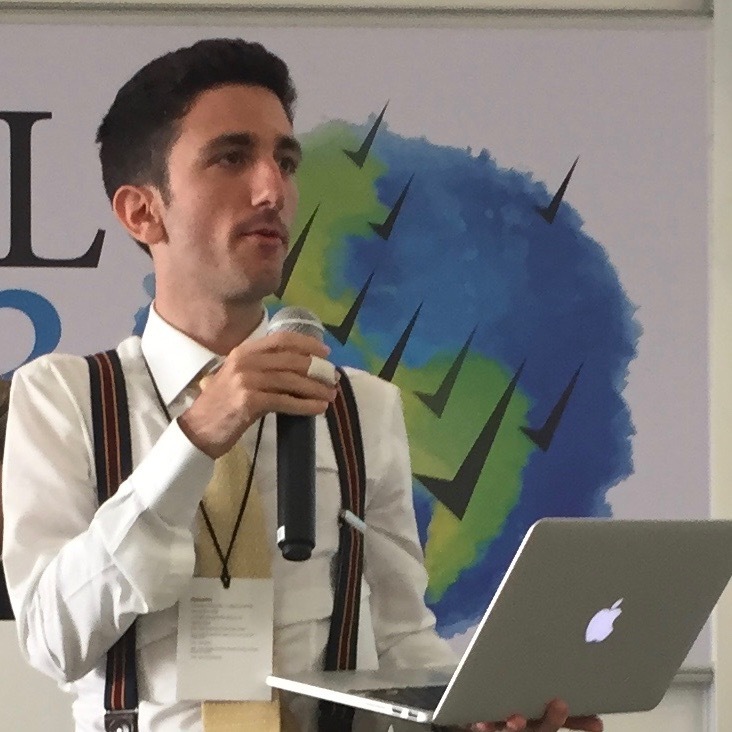 Chris Blow from Meedan, which builds digital tools for journalism, provided recommendations for how fact-checkers can make articles more visually appealing and persuasive. Blow lauded Animal Politico for its engaging graphics ratings statements via dog illustrations, inspired by the site’s name, “El Sabueso,” or “The Hound.” He also praised Africa Check and Les Observateurs, a French site, for showing clear ratings on their Twitter posts to make sure readers knew the conclusions. Blow also critiqued posts from other publications that he said may bore or confuse readers due to too much text or a misleading placement of the rating.